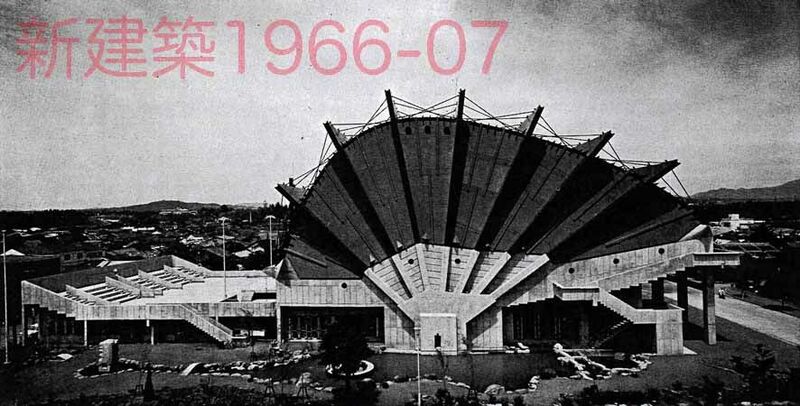 Docomomo International has been alerted to the current threat the former Miyakonojo Civic Hall, in Miyakonojo, faces. Designed by Japanese architect Kiyonori Kikutake and built in 1966, the Miyakonojo Civic Hall is a particular representation of the Metabolism Movement and its principals, envisioning structures which were flexible enough to be modified in order to that best adapt to new demands and the ever-changing circumstances of the society they were built in. “Despite the current conservation issues the building seems to be in an overall good state of conservation and therefore the demolition is not acceptable. It is necessary to think about reuse, and not destruction, in order to promote sustainability and best practices o Heritage Management and conservation. Docomomo International congratulates and supports all efforts already being conducted by ICOMOS, ISC20C and ICOMOS Japan, in the sense of protecting and preventing the demolition of this building. In the following link, a Letter of Support from ICOMOS and ISC20C can be found.